Given the fact that many of my clients are asking me about wedding on the beach, I am going to do a specific post about it ! 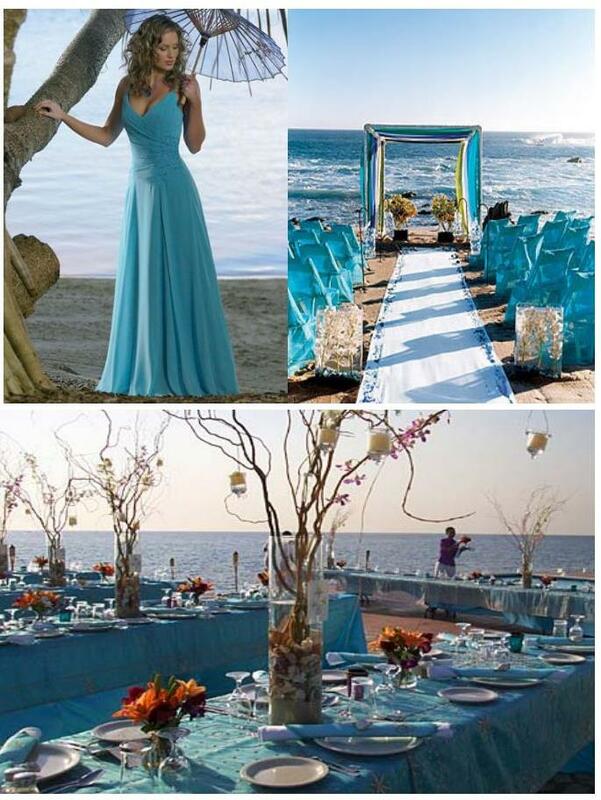 I’ll also suggest you a turquoise decoration which is really perfect for a wedding on the beach. Doing a wedding on the beach is something very exclusive and magical ! I am very pleased to plan many weddings like this. Usually the guests are totally amazed by the venue. If you add a wonderful decoration, the result looks perfect ! That’s the reason why I recomend turquoise wedding decoration. 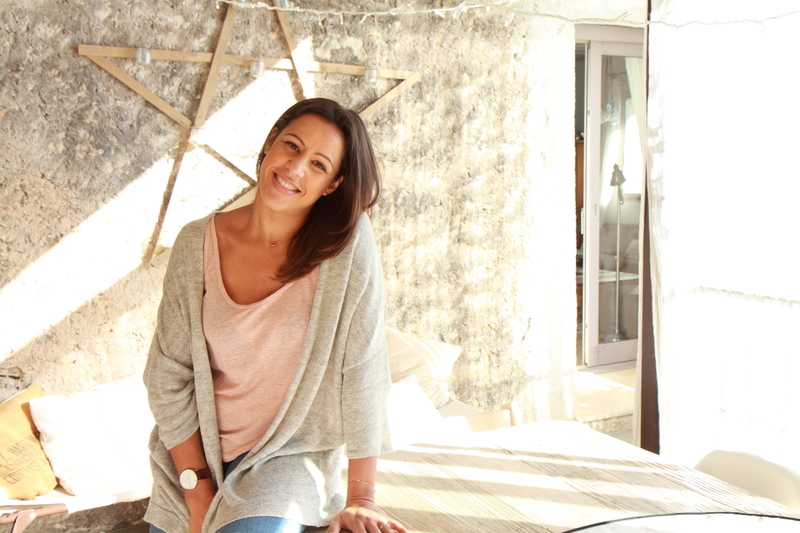 Indeed, the beach allows you to organise something less formal, with a casual spirit. So your decoration can be fun but still elegant. As you can see on the pictures, turquoise decoration is one of the best idea to create a beautiful and welcoming atmosphere. 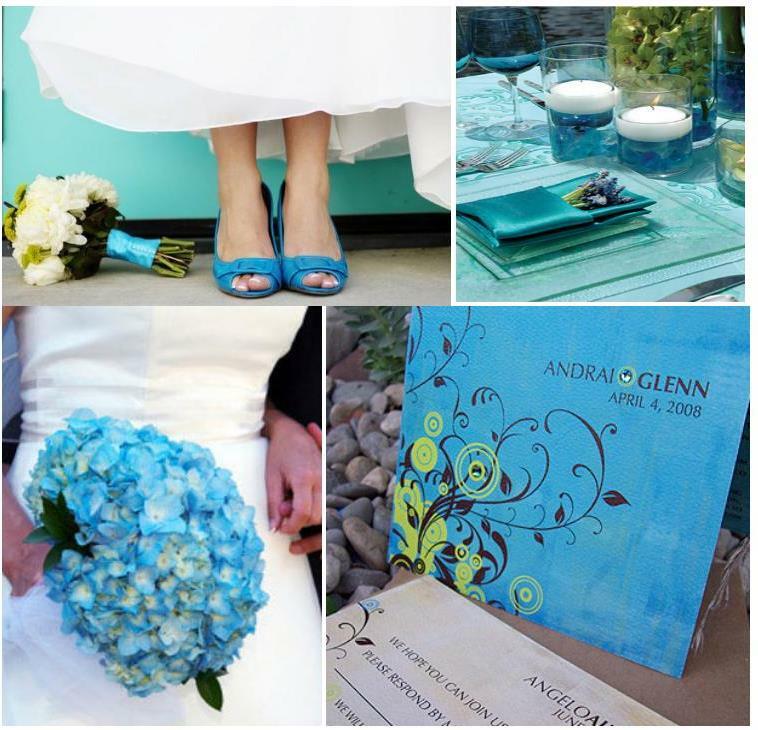 Even the wedding dress or the bouquet can be linked with the turquoise decoration ! I am sure you’ll like these ideas for your wedding on the beach ! So enjoy and do not hesitate to ask us questions about turquoise decoration and wedding on the beach ! Yo thanks for the blog. Where could I buy the turquoise dress in the photograph?